Lots of sunshine. High 83F. Winds NNW at 5 to 10 mph..
Who hasn’t wanted to tell a scheming, incompetent manager or boss just what we think of them while clearing our desk and walking out of an office that had become toxic, emotional poison - a menacing Skull and Crossbones. If there were no consequences, giving them a piece of your mind might feel good, “But the operative word here has only two letters and is the most powerful in any language,” states Lyle Sussman, Ph.D., former Chairman and Professor Emeritus of Management, College of Business and Public Administration at the University of Louisville. “That word is if. What if there had never been a Napoleon, a Hitler a Stalin or Winston Churchill? How different would our world be, today? Especially now, ‘Telling them what I think as I walk out’ has a greater potential for causing lasting harm than ever before,” Sussman cautions, and has us ask a question. Will I Cross Paths with This Employer in the Future? “If you can guarantee the probability is 100% that you never will, then being relatively candid is ok. So, if you think the person is a real jerk and that you have been treated as a second class citizen, you can say it. To Sussman, today we are living in a different world–a world that doesn’t forget--in large part due to social media. “Five or six years ago I would have said that candor and honesty is good for the soul and might even help the other party. Now I am much more reluctant to recommend this because there are no secrets. We are living in a world where nothing gets deleted anymore. Sure, hit delete and you don’t see it anymore, but it may still be out there, somewhere. And his conclusion about candor when leaving a job? “Unless the person decides that they are going to sell sea shells in Margaritaville and never return to society, you’ve got to be very cautions. “If you want an example of incredible unfairness, take the example of comedian and Oscar nominated actor Kevin Hart,” says Dr. David D. Schein, Associate Professor at the Cameron School of Business of the University of St. Thomas in Houston and author of The Decline of America: 100 Years of Leadership Failures. Ten years ago, as part of Hart’s standup comedy act, he made what were characterized as anti-gay statements. After he was named host of this year’s Oscars, videos of his act and anti-gay tweets were splashed across the web. He emphasized that he was definitely not homophobic and that this was part of his comedy act at that time. Yet, he was still forced to decline being the prestigious Master of Ceremonies for the 2019 Oscars. Schein sees, “Something dangerous happening to our country. We are losing our sense of humor and shoving freedom of speech into the freezer when we punish a comedian for his ten-year old monologue. Think of Don Rickles, Joan Rivers and other amazing comics who found funny things about all of us. The public laughed with them and made them famous. 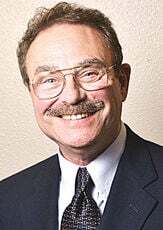 Dennis Beaver Practices law in Bakersfield and welcomes comments and questions from readers, which may be faxed to (661) 323-7993, or e-mailed to Lagombeaver1@gmail.com. And be sure to visit dennisbeaver.com.